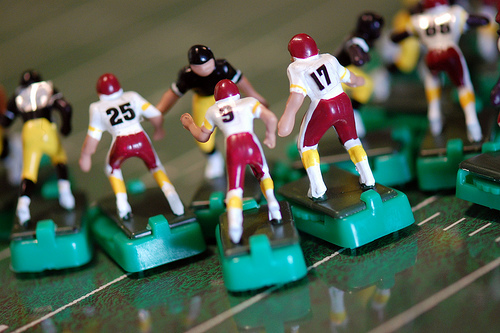 Social Media Super Bowl: Which Team Has More Reach? So the Indianapolis Colts and New Orleans Saints will meet in Miami for Super Bowl XLIV. NFL analysts and sports writers now have two weeks to dissect the matchup, talk about players and schemes and come up with good storylines. But I’m here to look at what really matters – which team has more reach via social media? Now we all know that social media isn’t a numbers game. It’s not just about reach, it’s about making the most of your connections. Furthermore it’s not possible to fully quantify reach across all social media especially since that brings up the discussion of what should or shouldn’t be considered “social media.” So I’m going to gloss over all of that and just look at four things, one for each quarter in the Super Bowl. Two days after the conference championships which team is being blogged about more? Google Blog Search has 519,933 total results for “Indianapolis Colts” and 20,776 in the past week. 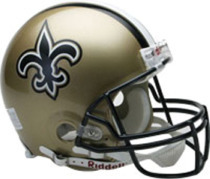 For “New Orleans Saints” it’s 726,855 total and 31,215 in the past week. On Icerocket the Colts have 24,526 total / 2,466 past week, and the Saints have 29,603 total / 3,666 past week. And Technorati is showing 4,973 posts related to the Colts and 6,178 for the Saints. Ok, which team has seen the most activity on Digg? According to Digg’s search tool 1,549 Colts articles have been submitted with only eight being promoted to the front page and three receiving more than 500 diggs. That compares with 1,645 articles submitted, 11 promoted and two with 500+ diggs for the Saints. …At the half, the Saints head into the locker room ahead. Can Peyton Manning and the Colts pull out another come from behind victory? Facebook offers one of the best ways for teams to engage with their fan base, so which team is making the most of it? As of today the Colts’ official Facebook page has 249,481 fans and their wall posts are getting a good amount of “likes” and comments. But from what I can see, and I searched with both Facebook and Google, the Saints do not have an official page. There are several unofficial pages, the largest one with 368,365 fans, but since the Saints appear to be missing the opportunity to engage Facebook users in an official capacity this is a major fumble. It gets worse on Twitter – from what I can see neither team has an official profile. So here we’ve got the equivalent of one team throwing an interception and then the other giving it right back. There are several unofficial Twitter profiles for each team run by fans and media sites but I could not find any official accounts. @NOScom comes close for the Saints, but this appears to be run by the people managing the team’s website not the team itself. (Please correct me if I’m wrong). Too bad the teams aren’t choosing to directly engage their fans via Twitter. So the Saints have a small edge here but without an official presence from either team I’m calling this quarter a tie. It’ll be interesting to see how these figures increase as the hype builds over the next couple of weeks. Hopefully we’ll see some creative use of social media by both the teams and some of the players. And good luck to both teams in Super Bowl XLIV. P.S. Vikings fans, I feel your pain. You had it. Adam, I really enjoyed your analysis here, great job! Sounds good Kirk, will do.